Join us for a light lunch on October 23 at 11 a.m. and get tips on planning for your final wishes, including pre-arrangements, veteran benefits, funeral options and more. 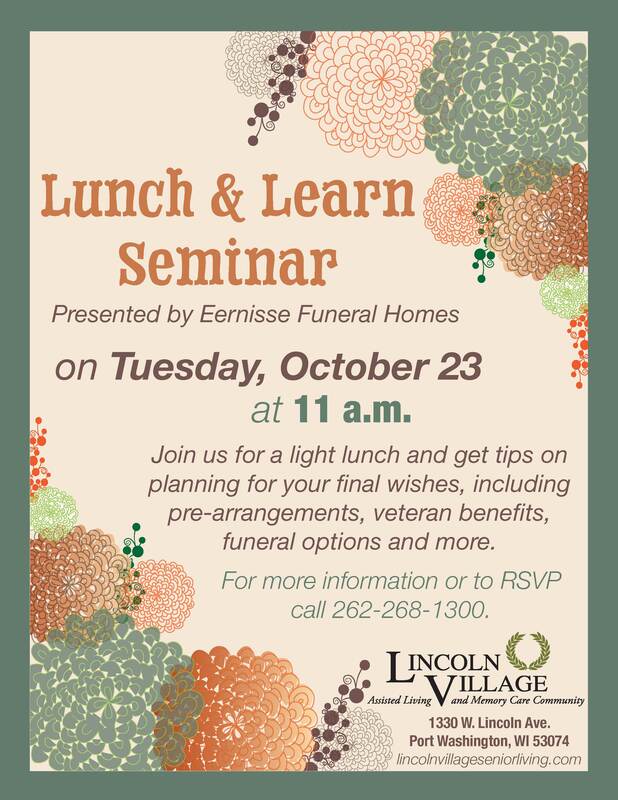 Presented by Eernisse Funeral Homes. 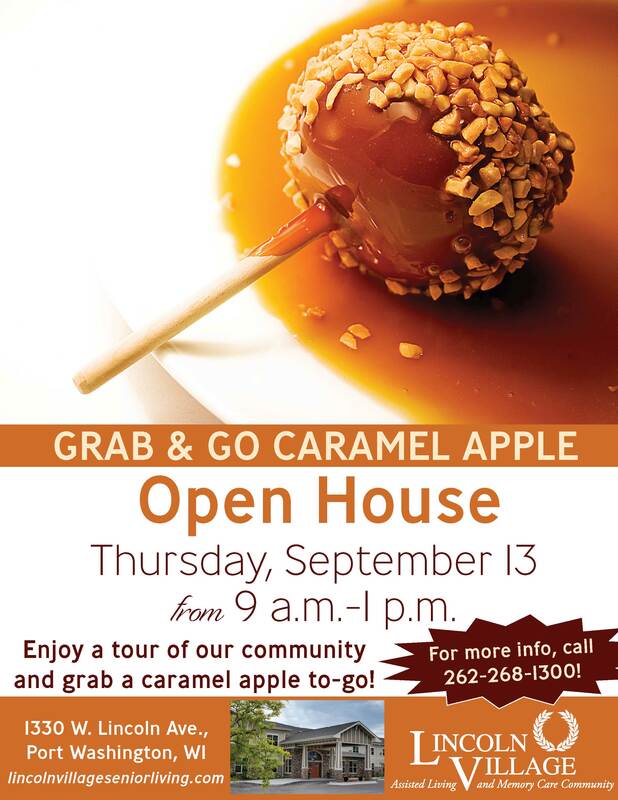 Enjoy a tour of our community on September 13 and grab a caramel apple to-go. 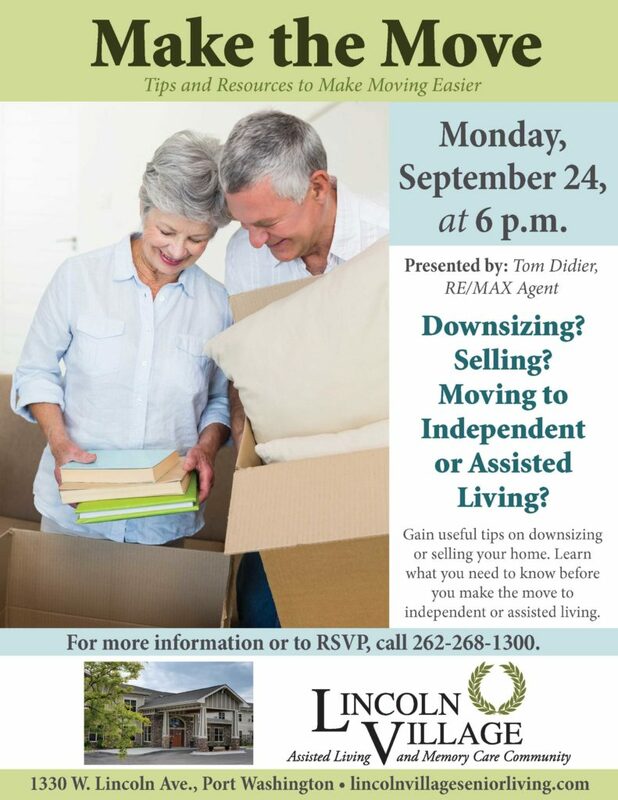 If you’re thinking about a move to Lincoln Village, now’s the time! 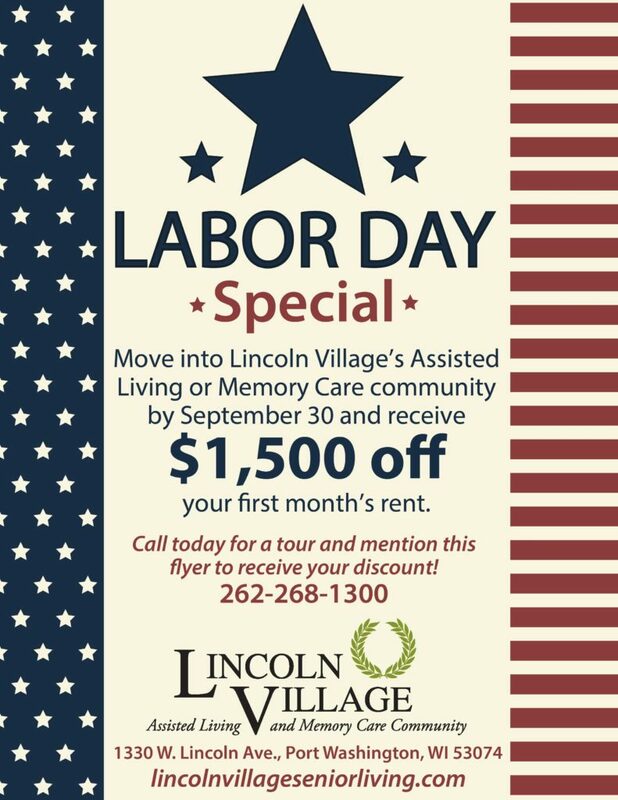 If you move into Lincoln Village’s Assisted Living or Memory Care community by September 30, you’ll receive $1,500 off your first month’s rent! 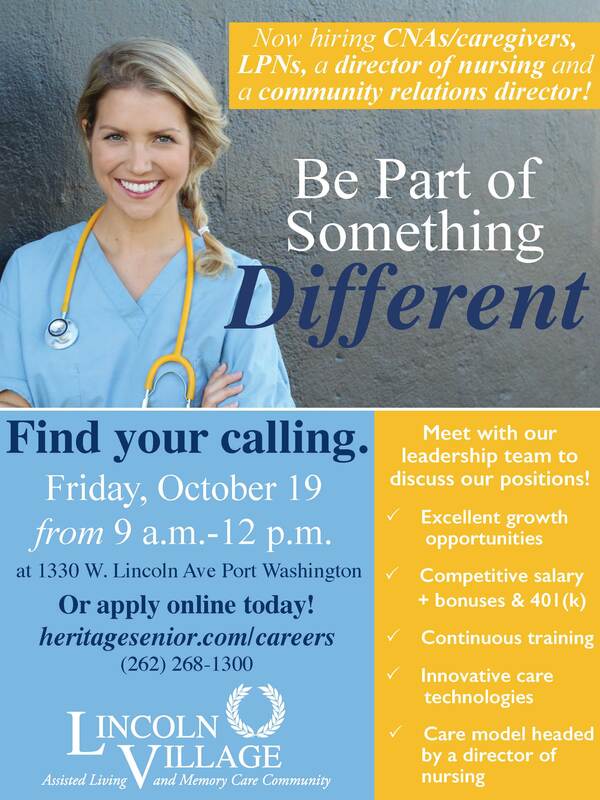 Call today for a tour and mention this flyer to receive your discount! 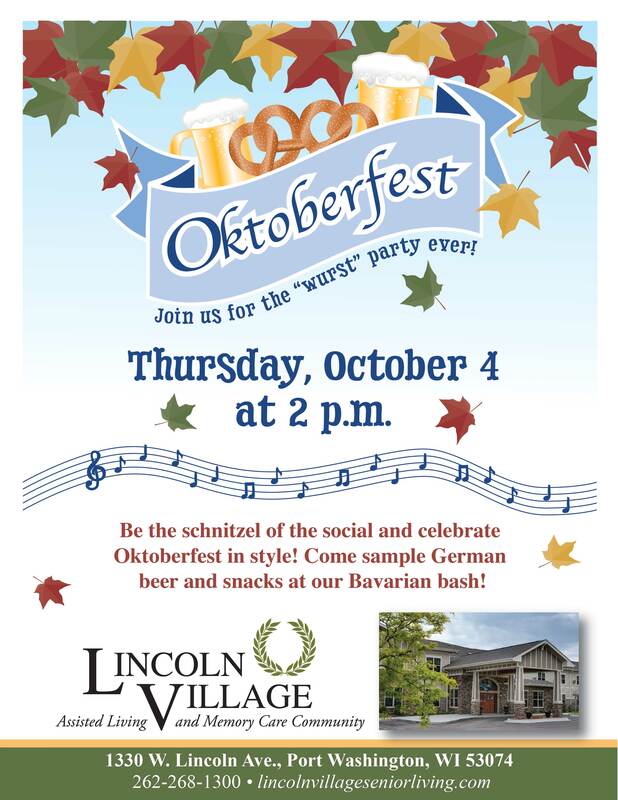 Join us for the “wurst” party ever on Thursday, October 4, at 2 p.m. Be the schnitzel of the social and celebrate Oktoberfest in style. 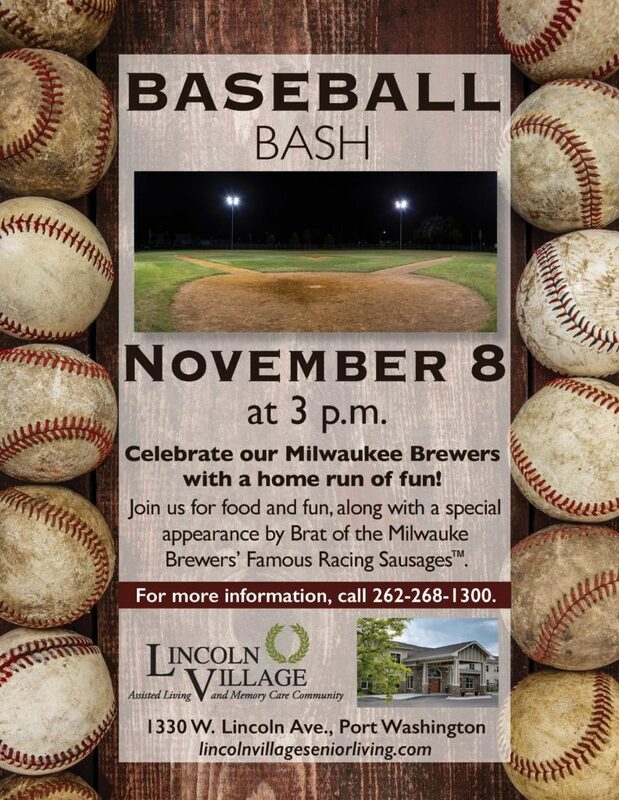 Sample German beers and snacks during our Bavarian bash!